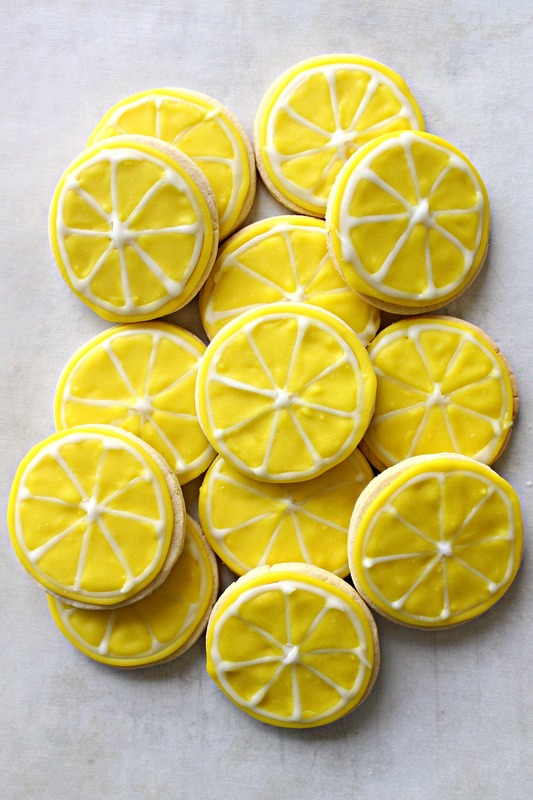 Lemon Sugar Cookie Lemon Slices are a summery treat full of bright citrus flavor. Lightly lemon flavored cut-out cookies are topped with sweet-tart icing. The easy to create design turns cookies into munchable slices of lemon! In my all-time favorite movie, “Dead Poets Society”, Robin Williams is an English teacher who exuberantly motivates his students to “carpe diem” (seize the day)! I love that phrase. It’s my call to action, a reminder to live in the moment and make the most of each day. That is the kind of encouragement I like to add to my military care packages too. Using a bit of word play, I can send a motivational message with a humorous twist thrown in for fun. I’ve already created a “Seas the Day” themed box for an adopted sailor. 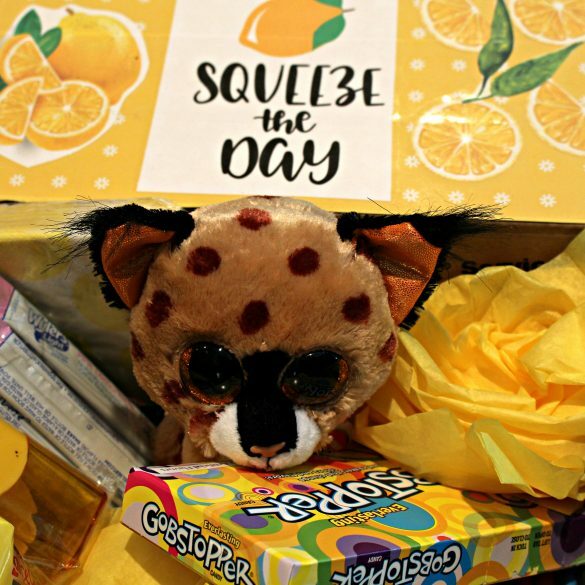 When I stumbled upon “Squeeze the Day” graphics, I immediately started planning this citrus themed care package! Hot weather is starting in many of the areas where our military are deployed, which requires special consideration when choosing care package recipes. After this box, I will be using only “desert safe” recipes until cooler temperatures return in November. (“Desert safe” refers to baked goods made with ingredients that are least likely to spoil in transit during the extreme desert heat. Granulated sugar is the sweetener of choice because it has the lowest moisture content. Moisture promotes mold. Crisco is the fat of choice because its shelf stable qualities make it the least likely to go rancid. Decorating with icing won’t work because it will melt!) 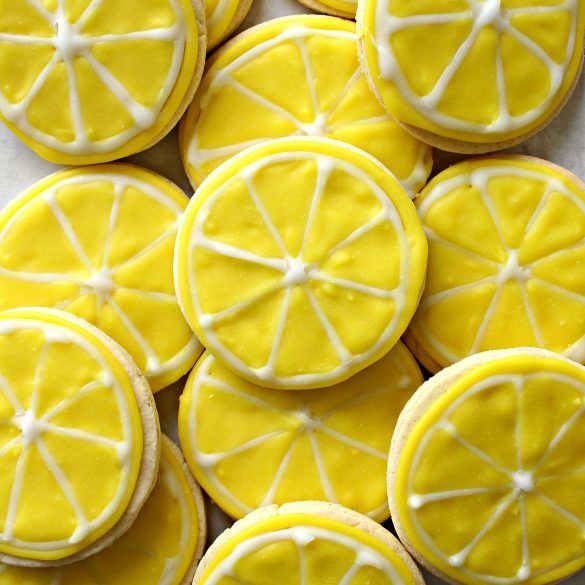 Lemon Sugar Cookie Lemon Slices are my last iced cookies for the next 6 months, but I’ll be sharing more heat resistant decorating ideas. Colored sugar, colored dough, and design imprints are all possibilities! Decorating a care package box is certainly not required, but it does up the smile-inducing factor considerably. Wrapping paper, scrapbook paper, and patterned duct tape work well for lining the box flaps. For this “Squeeze the Day” care package, I used bright yellow scrap book paper, then I added graphics and clip art found online. 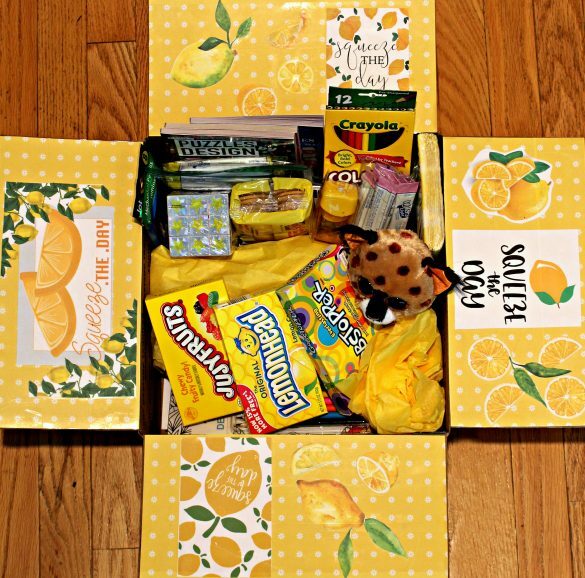 The box is filled with lemony flavors and lemon yellow packaged candy and cookies, as well as puzzle books, a stuffed animal (as close to yellow colored as I could find), a Rubix cube, and colored pencils. 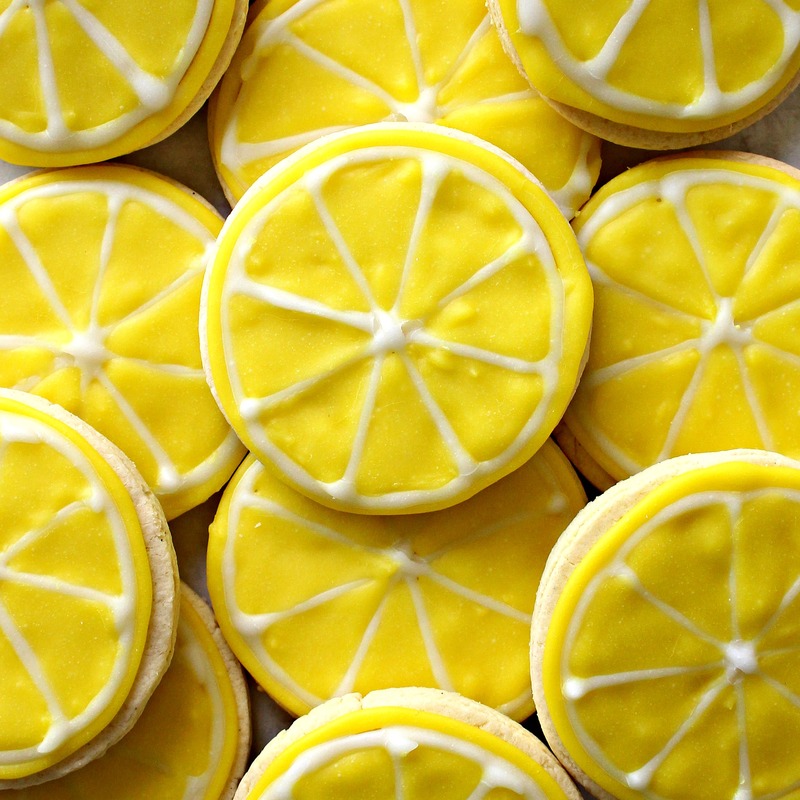 Creating a cookie that looks like a slice of citrus is very simple. Slices of lemons, limes, and oranges can all be made the same way with a tweak to the colors used. Lemon Sugar Cookie Lemon Slices are made with my favorite vanilla sugar cookie recipe with lemon extract added. The corn syrup icing gets a splash of lemon extract as well. If these cookies will be eaten within a day or two, lemon juice can be used instead of extract in the icing. However, after a few days, icing made with lemon juice gets spotty. For longer shelf life or for care package use, I recommend using lemon extract. One batch of icing makes enough for both the yellow and uncolored white needed to decorate all of the Lemon Sugar Cookie Lemon Slices. The icing should be thinned to the consistency of white glue. One half of the icing is left uncolored. The other half is colored yellow. This easy design can be made without the use of disposable pastry bags and piping tips, but those tools make a simple task even simpler. I use disposable piping bags fitted with small circle tips (#5). The icing could be put in ziplock bags with a tiny corner snipped for piping. The cookie is outlined first with yellow, then with white. 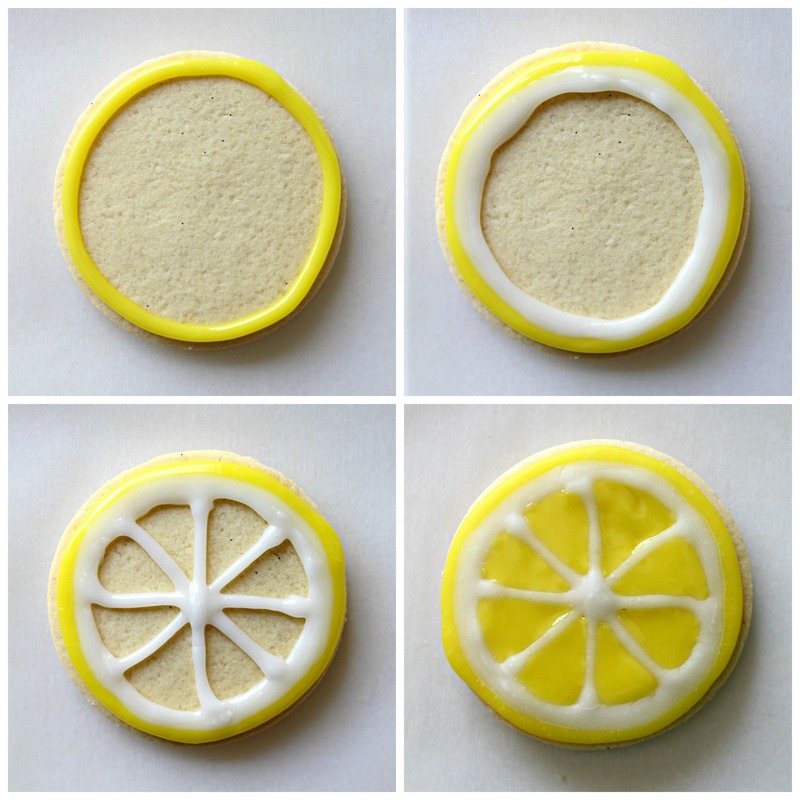 The white icing is used to divide the lemon slice into segments. After a short drying time (about 15-30 minutes) the segments can be filled with yellow icing. The drying time allows the outlines to harden slightly, making it easier to add the yellow without smearing the white lines. Use the tip of a toothpick to gently move the yellow icing into any unfilled corners. Always air dry iced sugar cookies overnight to allow the icing to harden before packing. For shipping, cookies should be wrapped individually in plastic wrap or in self-sealing cellophane bags. The cellophane bags make wrapping a breeze and the bagged cookies look “professional”. Wrapped cookies are then packed snuggly in a column in freezer weight ziplock bags. 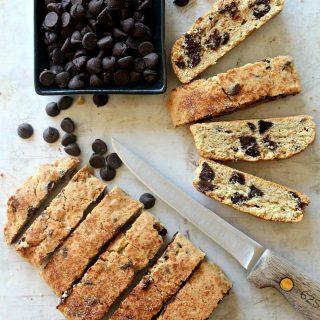 Lemon Biscotti are the new recipe included in this “Squeeze the Day” care package. 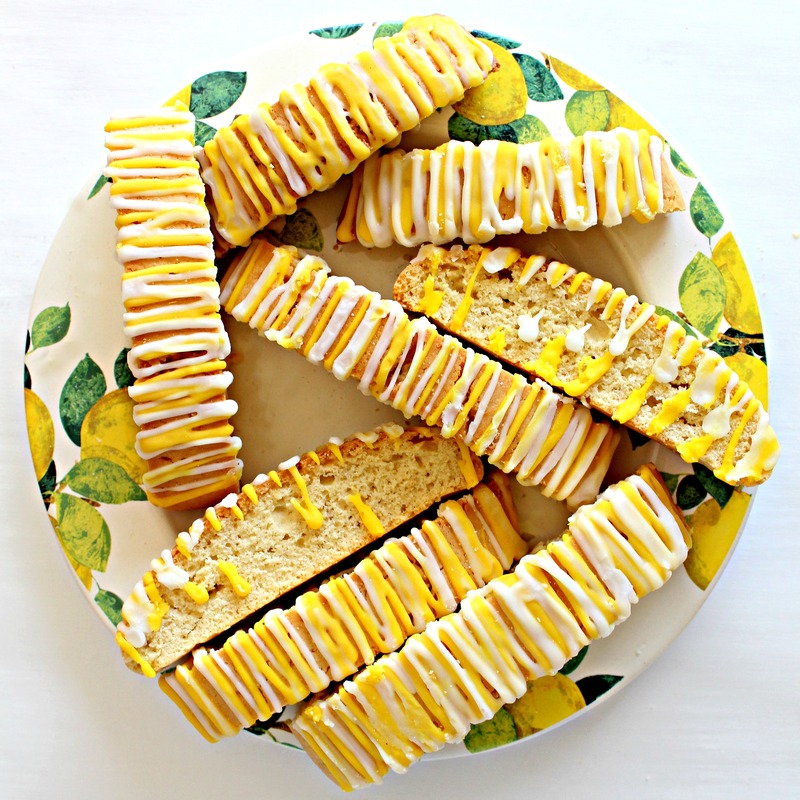 Lemon Biscotti are crunchy cookies delicious on their own but sturdy enough for dunking. 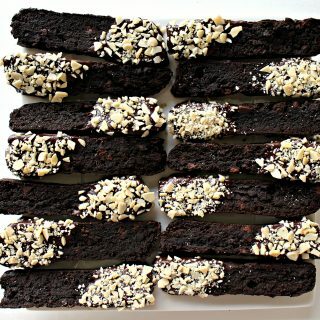 Biscotti are the ultimate care package cookie. They travel well and stay fresh for several weeks. 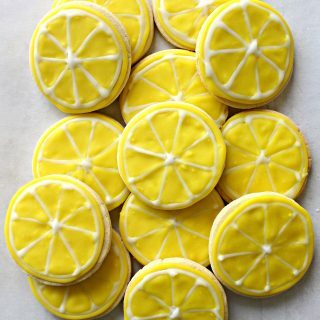 Lemon Sugar Cookie Lemon Slices can be tucked into care packages or served at home alongside a glass of ice tea. Either way, they are full of refreshing citrus flavor. 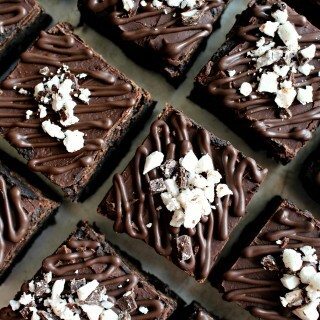 This recipe makes enough to ship some and nibble on the rest! In the bowl of an electric mixer, cream butter and sugar just until combined. Mix in eggs and vanilla. Then mix in baking powder and salt. Gradually add flour, 1 cup at a time. 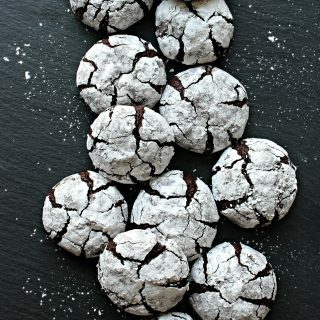 If making the cookies right away, use 4 ½ cups of flour. If refrigerating dough for use in several hours or several days, use only 4 cups of flour. Roll out on a lightly floured surface to ¼” thick. Cut out circles and place on to prepared baking sheet about 1” apart. Bake for 6-7 minutes. Cool on baking sheet for 5-10 minutes then transfer to a wire rack to cool completely. To make icing: In a medium bowl, stir together confectioner’s sugar, corn syrup, 3 tablespoons water, and lemon extract. Add additional teaspoons of water until the consistency of white glue. Spoon half of the icing into a separate bowl and add 2-3 drops of yellow food coloring (or a teaspoon of natural coloring powder). Place the white icing and the yellow icing into piping bags with #5 piping tips. Outline each cookie with yellow then white icing. Use the white icing to draw lines to create 8 segments on each cookie. Allow the icing to set for at least 30 minutes before filling in the segments with yellow icing. 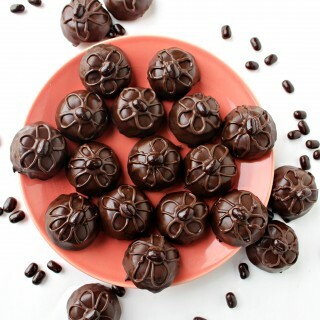 Let the iced cookies dry for several hours or overnight before storing or wrapping. Store at room temperature in an airtight container, with wax paper between layers, for up to 2 weeks. Enclose each cookie in a self-sealing cellophane cookie bag or wrap individually in plastic wrap. 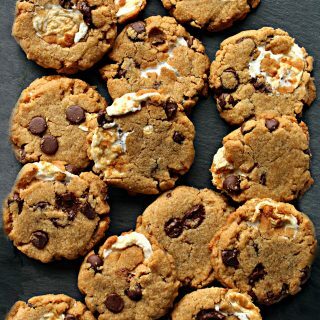 Package wrapped cookies snuggly in a storage container or freezer weight ziplock bag. I just love your themed boxes. I like to imagine the smiles and joy you are bringing to the recipients. Love these cookies. Just looking at them makes my mouth pucker in anticipation. What beautiful cookies! I just love all things lemon this time of year, so this theme is perfect! These are so much fun Wendy, and so perfect for summer! Who wouldn’t love to receive these in a care package? And, speaking of your care packages, I just LOVE how you decorate them, that is such a good idea and truly adds that extra special touch. 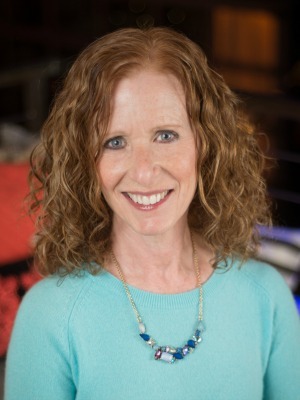 I wish I would’ve had your site back in the day when I was in a long-distance relationship with my boyfriend, as I was always sending him cookies and things – your ideas would’ve been perfect!